Thanksgiving is right around the corner, and as always I am trying to figure out how we got to the holiday season so quickly! One would think I would realize once Halloween is over, the holidays are upon us. One would think. I recently wrote an article about the upcoming holidays on ZesterDaily.com. There is a fantastic recipe for pumpkin pie made with coconut milk, making the filling lactose free. I originally developed the recipe for a vegetarian client of mine, and found I preferred this recipe to a traditional pumpkin pie recipe. I have never been a “decorate for the holiday” kind of gal. 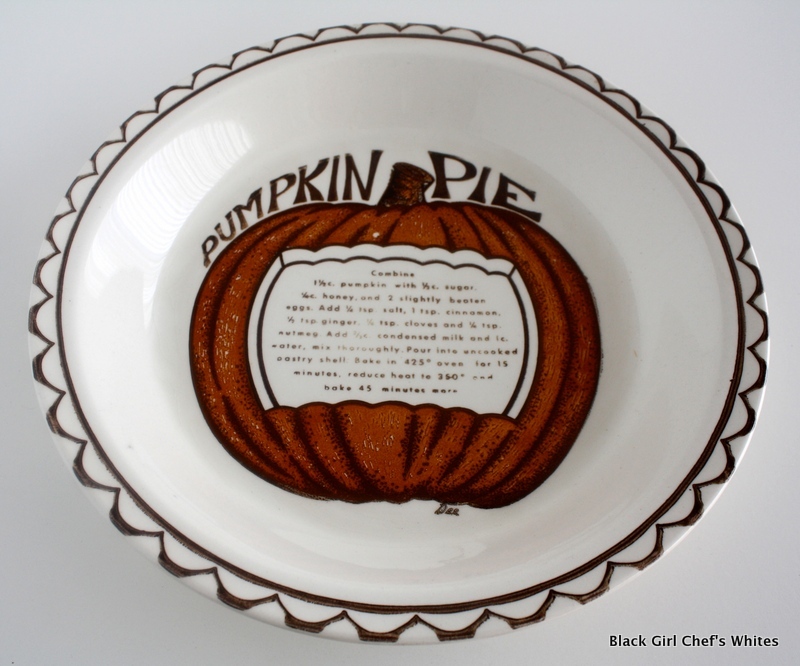 As I was looking for a pan to bake this pie, I found my mom’s pumpkin pie pan, which I had not seen in years. I was reminded of what a fantastic hostess she was. Every holiday meant some kind of décor change signifying the importance of said holiday. Acorn door hangings for Thanksgiving, Easter baskets with colorful eggs and Christmas joy everywhere! Christmas hand towels for the guests, Christmas wreaths, Christmas candies placed into crystal candy dishes. Crystal candy dishes shaped like Christmas trees, naturally. 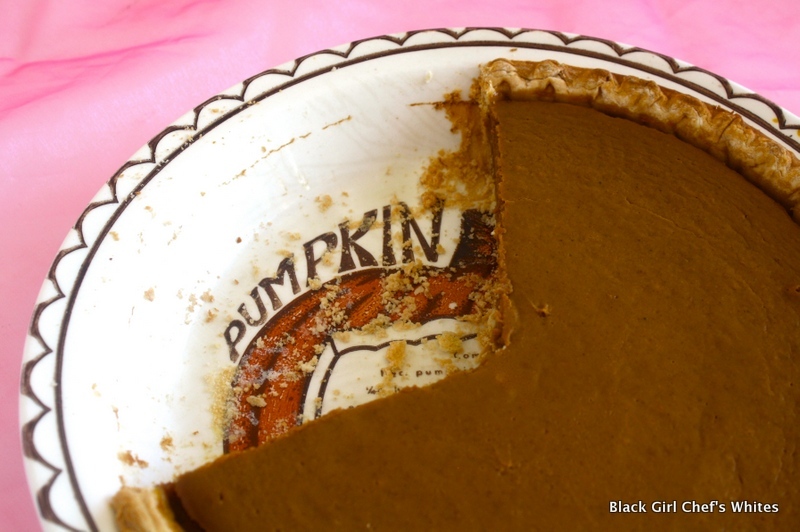 Click here for the recipe for Spiced Pumpkin Pie with Coconut Milk and to read more about my holiday misadventures. I have never used coconut oil to make a pie crust, but since it is a solid fat it should work. I wouldn’t change any other ingredients. Let me know how it turns out! Seeing this made me wonder if you can use coconut oil in the crust instead of butter. Have you ever tried that? If so, would you need to make any changes in other ingredients or amounts? I would love to try this recipe.